If the 10-cent charge on plastic bags wasn’t enough incentive to carry reusables to the store, perhaps a recently approved referendum will force a change of habit. On Nov. 8, California passed Proposition 67 with a 52.2 percent majority creating a statewide elimination of plastic bag sale and distribution. Counties across the state have been initiating their own plastic bag regulations over the past several years, but a state-wide prohibition suffered more setbacks along the way. Senate Bill 270, the original form of the law, passed California legislature back in 2014. However, after pushback by out-of-state plastic companies along with the American Progressive Bag Alliance, the law was forced onto the 2016 ballot as a referendum, which came to be known as Prop 67. In the two-year lull before the polls, a battle ensued between plastic companies and environmental campaigns trying to sway public opinion. Apparently the majority of Californians were unconvinced, and voted to ban the plastic bag altogether. With the passing of the ban, a number of victories have been attained for the environment, wildlife, and people. In addition to being an everlasting eyesore, plastic is an everlasting material. In the hundreds of years it takes to decompose, plastic continuously releases harmful toxins into the surrounding water and soil. Currently, plastic progressively contaminates the ecosystems on which thousands of species are reliant, including humans. 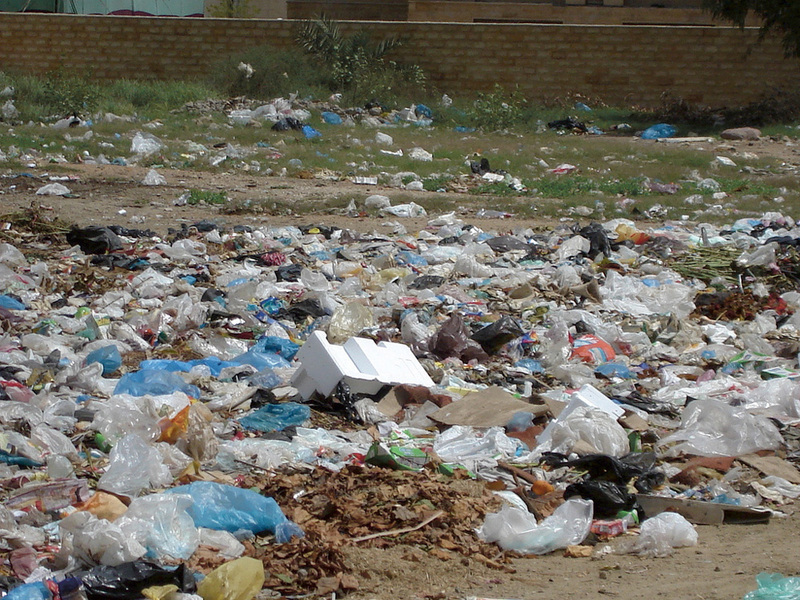 Plastic bags litter the streets of American cities. Coastal areas around the world suffer from pollution buildup. However, a major source of destructive waste will be not be observed on the shores of California any longer. Plastic floating in the ocean gets eaten by fish and corrodes their stomachs. Small fish also facilitate the toxic material’s path up the food chain, making its way to the stomachs of larger fish and marine mammals. Approximately 100,000 marine mammals are killed annually from plastic debris, according to the National Oceanographic and Atmospheric Administration. Marine mammals and humans aren’t the only one receiving the negative impacts of plastic pollution. According to a recent study, a quarter of fish sold at markets across California contain traces of plastic in their guts. Contaminants, such as PCB’s and dioxins, correlate to cases of cancer and reproductive problems, which could be attributed to eating fish. Turtles, one of the most beloved reptiles, are particularly vulnerable to plastic pollution due to the structure of their bodies. It is estimated that half of sea turtles around the world have ingested plastic. Both our own health and that of our favorite sea creatures will benefit from the ban, as one source of ocean pollution will gradually decrease. The U.S. uses 100 billion plastic bags annually, which requires nearly 12 million barrels of either petroleum oil or natural gas. By eliminating the demand, that much fossil fuel could be allocated toward more imperative aspects of our livelihood, such as transportation to the grocery store, rather than transporting food to the car. Areas that phased out plastic bags in previous years have observed noticeable differences. In San Jose, a ban in 2011 has led to upwards of 59 percent reductions in storm drain, waterway, and street pollution. Ireland reports a 95 percent reduction in plastic litter since initiating a plastic bag ban in 2002. California should expect to see similar improvements over the next few years. Though thousands of different plastic products litter the oceans, the elimination of plastic bags might be a first step towards completely phasing out the harmful material. Plastic’s malleability has proven extremely convenient for consumerist lifestyles, creating products from tupperware to cell phones. However, the environmental impact has not only affected wildlife but also endangers the well-being of humans. The statewide ban can thus be seen as a success that will hopefully inspire future positive changes for the planet’s health. Although opponents of the ban have argued that this ban will cost the poor and more importantly threatens our freedom as Americans (really?! ), the truth is that supermarkets charge for the plastic bags they provide and once you start bringing your own cloth bags you realize that they’re in fact much easier and more convenient to use than throwaway bags. Yes, they’re easier to use, more comfortable to carry, and basically last forever, so the nominal cost of cloth bags is far less than paying for plastic both at the checkout and in terms of the significant damage they do to our environment. Try it, you’ll see what I mean! You might even feel freer.